Wagons don't have to serve as a vehicle for hauling the kids to soccer practice, although they're more than capable of that task. 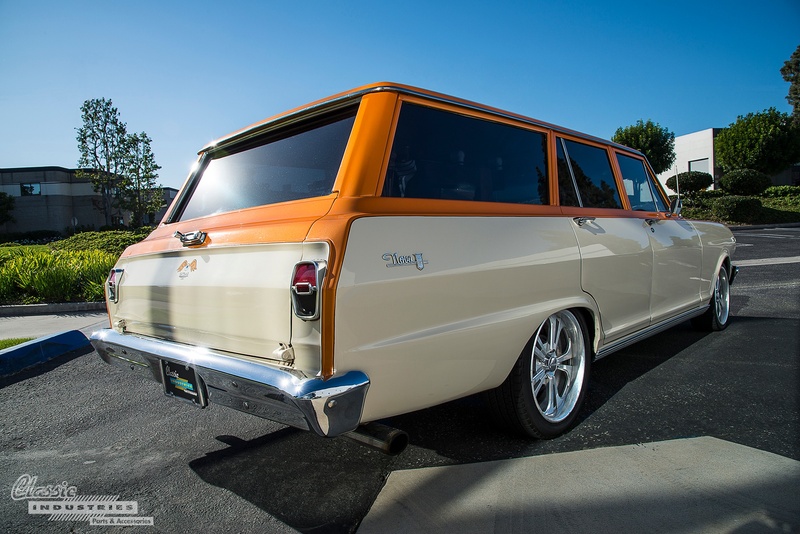 With a big V8 under the hood, a classic wagon can offer both muscle-car performance and everyday practicality. Need to take a surfboard or some cruiser bikes down to the beach? They can do it. Want to mash the gas and smoke that Prius at the next stoplight? They can do that too. 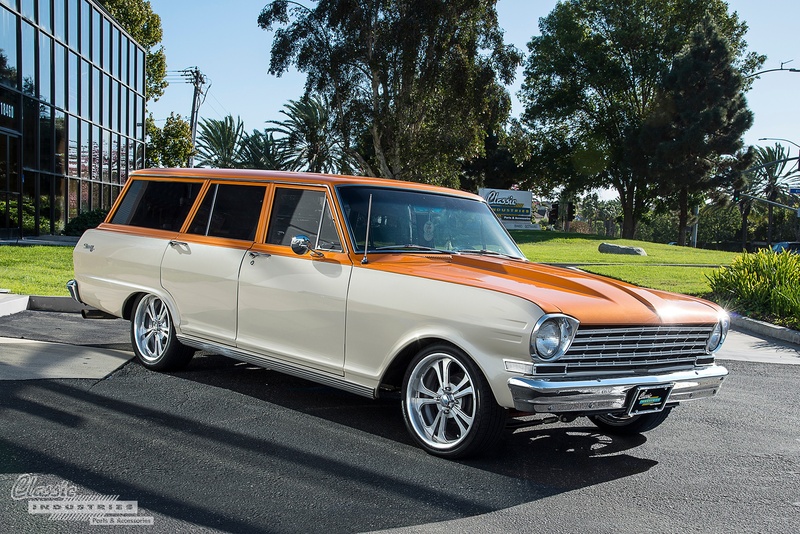 This 1963 Nova wagon belongs to Jason Peterson, of Marina Del Rey, California. 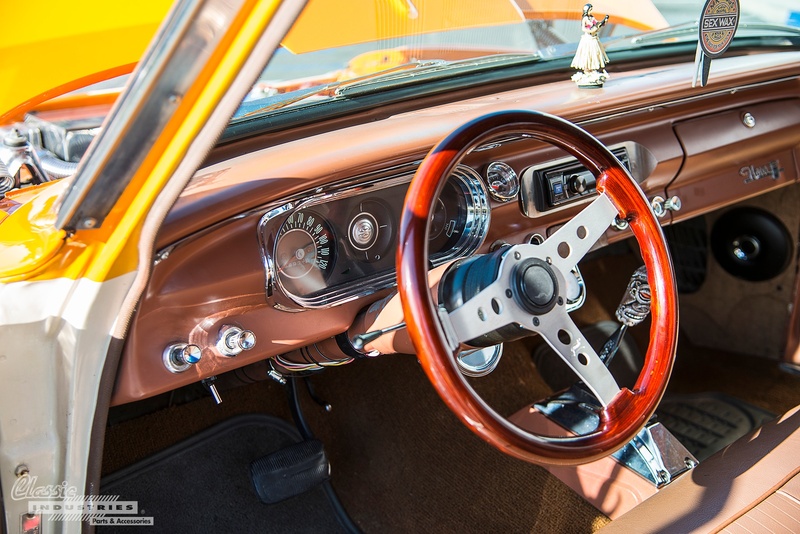 Believe it or not, this is Jason's daily driver and his very first classic car project, so it needed to serve as an all-around performer. Fortunately, this resto-modded long roof does just that with ease. Jason tells us he grew up around the Chevy Nova, and always wanted to own one. 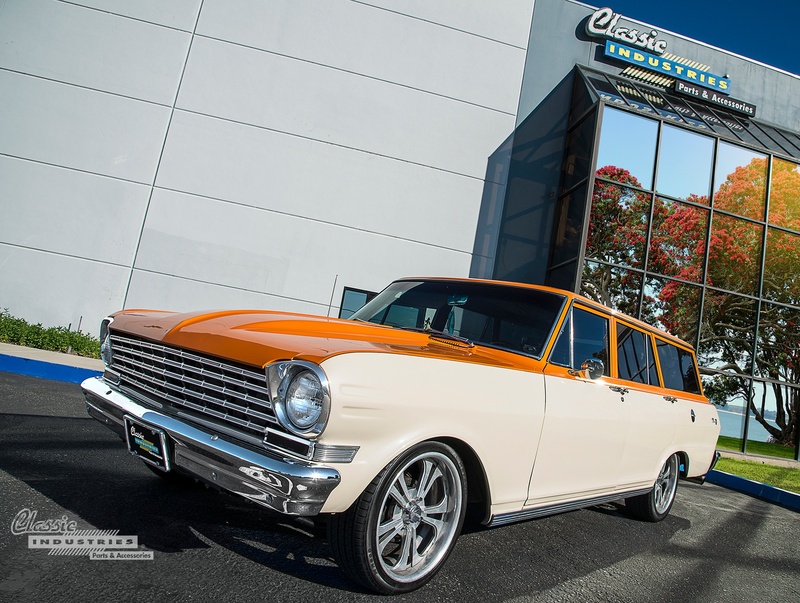 About 3 years ago, he had the opportunity to pick up this 1963 Nova wagon from its previous owner. When Jason bought the car, it had already been repainted in this two-tone scheme of Lamborghini orange and pearlescent cream. However, the rest of the car was in rough shape mechanically. 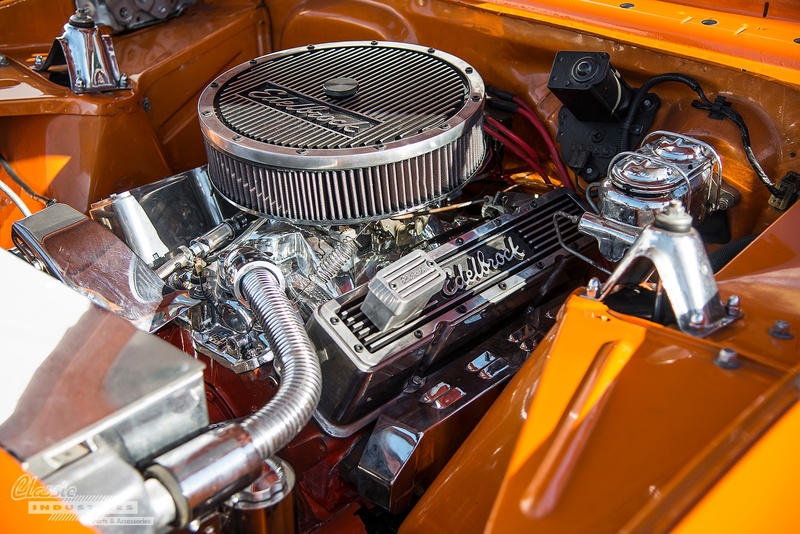 Jason started his gradual restoration of the car by rebuilding the 350ci V8 under the hood. He also added an Isky racing cam and a variety of Edelbrock performance parts. The motor is paired with a TH-350 automatic transmission. This '63 Nova is lowered on a Church Boys Racing front suspension kit with tubular A-arms, and a multi-leaf rear suspension kit. The wheels are 17-inch Raceline billet 5-spokes. 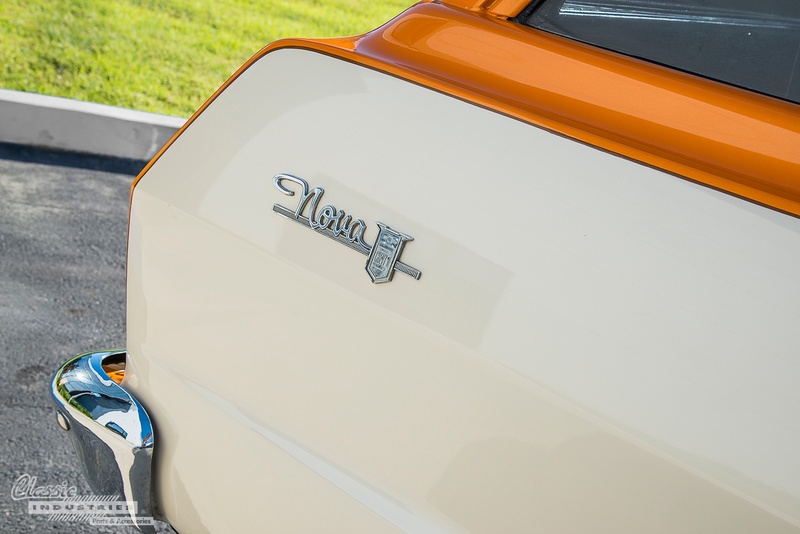 Jason says he picked up most of the interior and exterior trim parts for his 1963 Nova long-roof from the Classic Industries Nova catalog, and that this book helped him with his first restoration project. If you need a little help with your own project, click the button below for a free Chevy II/Nova parts catalog.